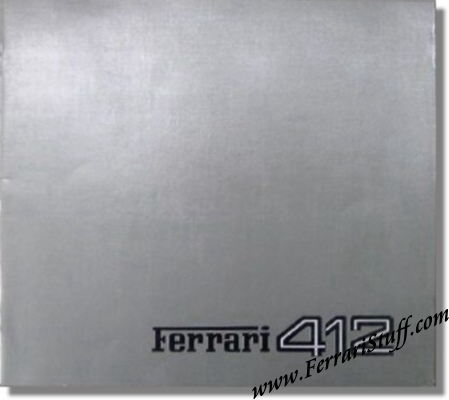 Ferrari factory original 1985 Ferrari factory original Ferrari 412 Brochure. 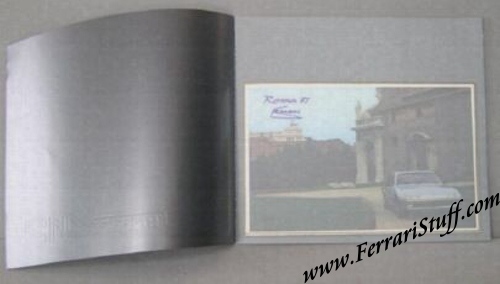 This Ferrari brochure contains 26 pages including 2 "Onion skin" sheets (first page with Enzo Ferrari's signature PRINTED in violet ink). Multi-language: Italian + English + French + German. It measures approximately 12 x 11 inches. Ferrari Print Number 363/85 15M/7/85, issued in 1985, printed in July 1985 by Arbe, Italy.